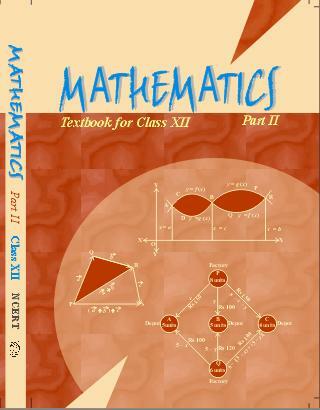 NCERT Solutions class 12 Maths Exercise 10.2 Class 12 Maths book solutions are available in PDF format for free download. These ncert book chapter wise questions and answers are very helpful for CBSE board exam. CBSE recommends NCERT books and most of the questions in CBSE exam are asked from NCERT text books. Class 12 Maths chapter wise NCERT solution for Maths part 1 and Maths part 2 for all the chapters can be downloaded from our website and myCBSEguide mobile app for free. Download NCERT solutions for Vector Algebra as PDF. 2. Write two different vectors having same magnitude. 3. Write two different vectors having same direction. Vectors and have the same direction. 4. Find the values of and so that the vectors and are equal. 8. Find the unit vector in the direction of the vector where P and Q are the points (1, 2, 3) and (4, 5, 6) respectively. Position vector of point P = = and position vector of Q = = , where O is the origin. 10. Find the vector in the direction of vector which has magnitude 8 units. 11. Show that the vectors and are collinear. 13. Find the direction cosines of the vector joining the points A and B directed from A to B. 14. Show that the vector is equally inclined to the axes OX, OY and OZ. Vector is equally inclined to OX, OY and OZ. 15. Find the position vector of a point R which divides the line joining two points P and Q whose position vectors are and respectively, in the ratio 2 : 1 (i) internally (ii) externally. 17. Show that the points A, B and C with position vectors and respectively form the vertices of a right angled triangle. Position vector of point C is where O is the origin. Therefore, A B, C are the vertices of a right angled triangle. (C) The respective components of and are proportional. (D) Both the vectors and have same direction, but different magnitudes. Ans. Option (D) is not true because two collinear vectors can have different directions and also different magnitudes. The option (A) and option (C) are true by definition of collinear vectors.